Nexus 220 Upgrade kit and Nexus 320 upgrade kits. Upgrade your Nexus 210 or 310 to the latest Nexus 220 or Nexus 320 with our new Eazy upgrade kit. The new design of the Eazy enables the Nexus Eazy 220 and 320 to capture solids more effectively than before. K1 Micro is used inside the re-designed Eazy helping to deliver improved capture of fine particles, delivering unrivalled mechanical filtration. 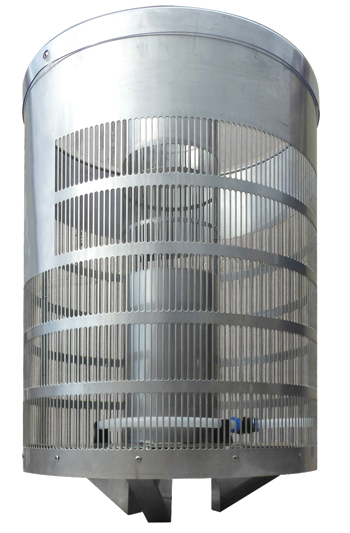 The new Eazy features an improved pattern of slots in the stainless steel body which makes the filter more efficient. Water can pass through all parts of the Eazy much more effectively. The Nexus Eazy 320 and Nexus Eazy 220 filter systems use two types of filter media to deliver optimum levels of clarity in your pond. 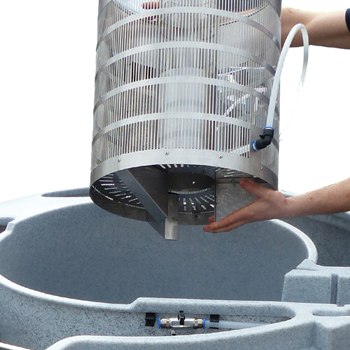 K1 Micro is used in the Eazy to improve mechanical filtration while the tried and tested K1 Media is used in the moving bed outer chamber, delivering the biological filtration. A key feature of all Nexus Eazy 220 and 320 filtration systems is the sheer ease of maintenance. This still remains the case with the new Nexus systems. Simply operating a combination of air valves and waste valves ensures that the Eazy filter and main filter body can be easily cleaned to deliver consistent water quality. Inside the centre mechanical stage of the Nexus Eazy , there is a much larger area for solid waste to be captured and to settle. This area can then be cleaned even easier than before ensuring the filter does not clog up with unnecessary amounts of waste. All Eazy filters used in the Nexus Eazy 320 and Nexus Eazy 220 series can be removed if needed. This added feature is ideal when undertaking further maintenance. Comes complete with the new K1 Micro. This feature combined with the use of K1 Micro makes for improved flow rates through the entire mechanical filter. In stock now, ready for immediate delivery !